5G is a key component of the networked world. 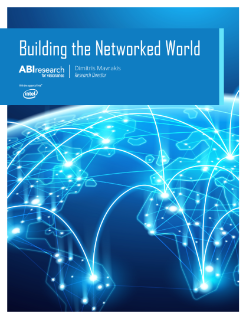 This white paper from ABI Research explores how 5G is a radical upgrade from previous generations. 5G networks will focus heavily on cloud computing, software, and virtualization. 5G extends both centralized (virtualization of network components) and distributed (edge computing) processing capabilities for many new use cases. Three 5G system components... are key: 5G New Radio, edge computing, and network slicing.